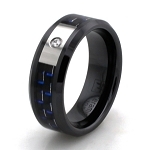 A shiny strip of black carbon fiber lends a modern look to this 7mm men's titanium ring. 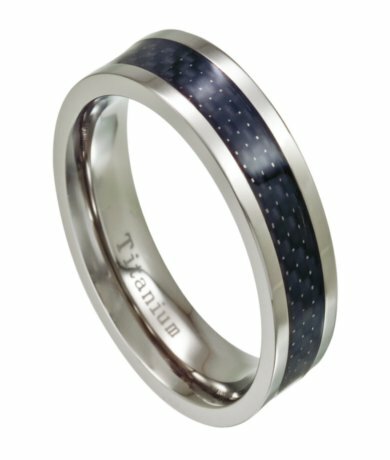 Carbon fiber adds texture to this polished titanium band, which is finished with rounded edges on each side. One of our best looking carbon fiber rings!